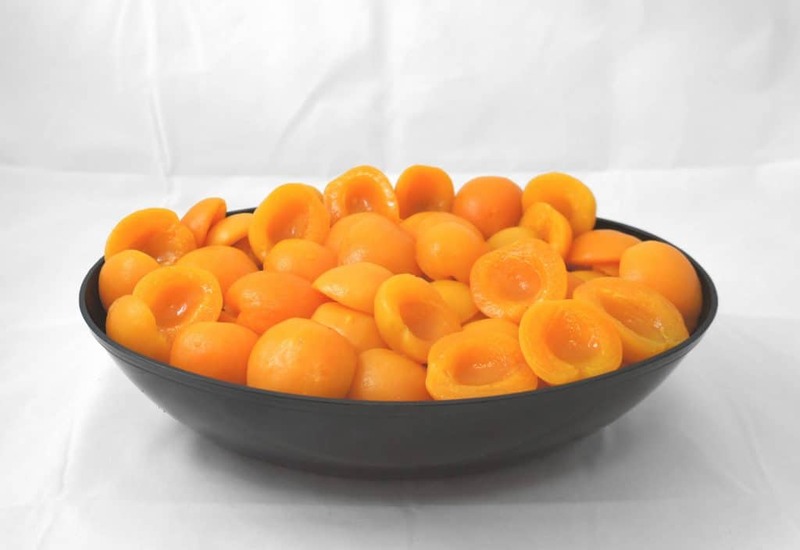 Choice apricot halves in natural apricot juice and pear juice concentrate shall be prepared from the Patterson variety of apricots that have been washed and hand sorted for quality. As the name implies, fresh choice apricots, fresh apricot juice and pear juice from concentrate are blended to create a natural apricot item with a characteristic sweet apricot flavor and an appetizing appearance that is enhanced by a moderately opaque 100% juice packing media. Apricots, Water, Apricot Pulp and Juice, Pear Juice Concentrate, Ascorbic Acid (Vitamin C) to protect color.